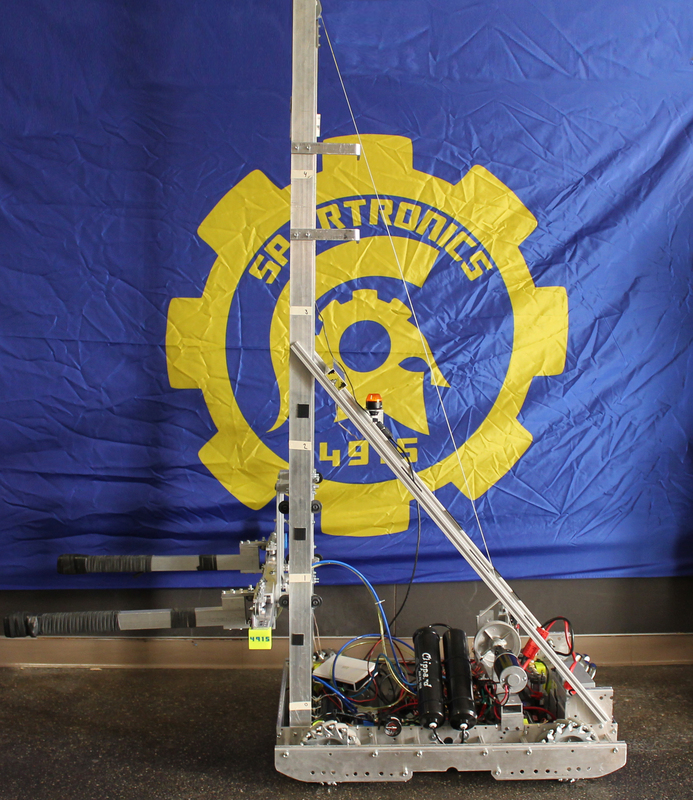 GAEA, our second robot, means “earth” in Greek and Latin. 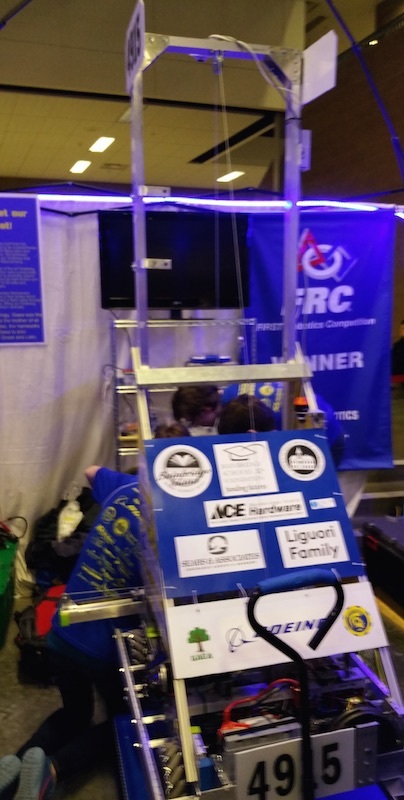 According to Greek mythology, Gaea was the mother of all Titans, one of which was ATLaS, our namesake robot our Rookie season. GAEA is an acronym that means: Grabbing Actuated Elevator Automaton. In 2015’s “Recycle Rush” competition, GAEA grabbed totes and recycling containers and placed them on the scoring platforms. Standing at 74 inches tall, GAEA accomplished these tasks with a pneumatic cylinder that extended or retracted its high-friction arms. The Elevator Mechanism has a high-powered winch that feeds a steel cable through a pulley in order to lift our Grabbing Mechanism on GAEA’s vertical axis. It’s most significant innovation: GAEA can move both its arms with a single pneumatic cylinder. With her mecanum wheels, GAEA can move totes sideways or virtually in any direction, allowing totes and containers to be stacked faster and more efficiently. Our game strategy for “Recycling Rush” was to work with our Alliance to provide a “cat like” robot – GAEA is quick, agile and stable – collecting and carrying up to four totes or three totes and one recycling container. Dimensions: 28 in. x 32 in. x 75 in.